Actor Nick Trengove has been frequently featured at Theater Pub, and will be appearing in his third show with us this season with Tuesday, June 12th’s one night only event, AIDS in the 80’s: Hit Trip Fall Run Dream Stick Sleep. We realized we hadn’t yet given Nick the website interview of his dreams, and so here he is, in all his glory. Enjoy! Nick Trengove. Who can resist a guy with this smile? In a nutshell, who are you and what’s your involvement in the SF Theater scene? 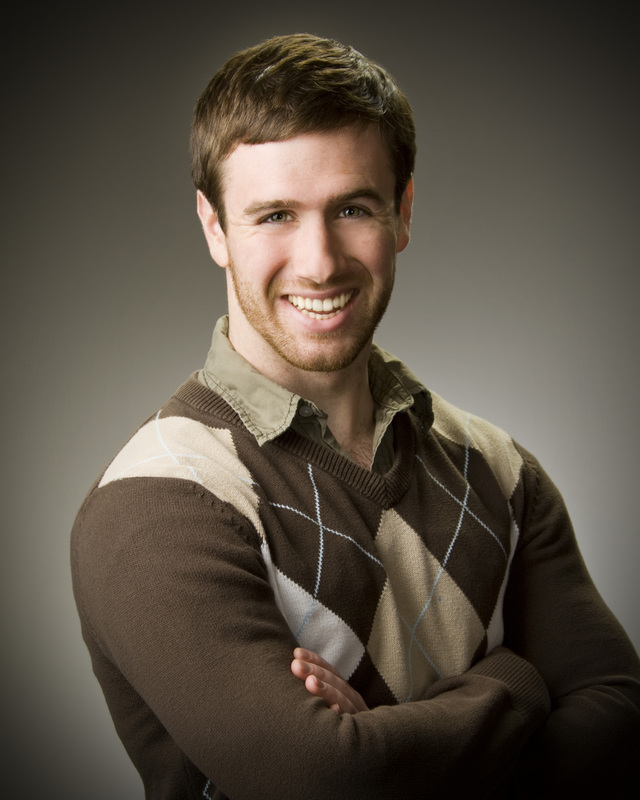 My name is Nick Trengove, I’m a recent graduate from UC Berkeley, and I got involved with the SF Theater scene as an actor right after I graduated. My first project out of college was We Players’ staging of Hamlet on Alcatraz, and since then, I’ve had the opportunity to work on various projects all over the city — from new works to well-known contemporary plays, and of course, more Shakespeare. So, you’re doing a lot of Theater Pub these days…. any particular reason why? Well, people are actually asking me to be a part of Theater Pub, so I think that really is a big part of why I’m doing more of it. But really, there is a community of actors and patrons in the Bay Area that has grown around Theater Pub, who view it as a forum for trying new things, or old things in new ways, and all in the comfort of a neighborhood bar, and I just think that’s the bee’s knees. What can you tell us about this latest project with Victor Carrion? The project I’m working on with Victor Carrion, “AIDS IN THE 80’S: Hit Trip Fall Run Dream Stick Sleep AND Forgetting Teddy,” is the story of medical professionals dealing with AIDS and homophobia against the backdrop of the 80s, when there was still a lot of speculation and fear surrounding the virus and its contraction. It’s a story told twice — once in a more stylistic, fractured way, and then again in a more conventional theatrical narrative, and I think it’s a really unique approach to AIDS during that era that, despite current understanding and desensitization, still begs to be understood and memorialized. What’s your particular role like, and what about him appeals and challenges? I play the role of Teddy, an intern doctor with aspirations of one day becoming a surgeon. The appeals of this role are also, I think, its unique challenges — Teddy is a guy who’s trying to figure himself out sexually — it’s a bit of a coming of age story for him, but compounding his confusion is the looming threat of AIDS. It’s an interesting balance that has to be maintained — the exploration and uncertainty and, sometimes, joy of discovering yourself, but staying true to the terror and proximity of the AIDS virus. This piece has some pretty dark elements to it- how is that to work with? The darker elements of the play represent another set of challenges as an actor. I’ve already touched on some the challenges associated with AIDS, so I’ll talk instead about the instances where characters run abreast against homophobia — both in professional and personal instances. I don’t think anyone, especially men, straight OR gay, escapes adolescence without being confronted by homophobia in some way. We may even extrapolate homophobia to talk about bullying in general – at some time in each of our lives, someone has told us that there is something innate about us that is different or wrong, has made us feel shame, and has hurt us physically and emotionally. In playing these darker moments in the play, and, to a certain extent, in watching them unfold, I think we relate on very visceral levels, so there is a tension, then, between treating these moments with emotional sincerity and receding from them for protection. What are you hoping your audience will walk away with? I’m hoping the audience walks away with the unique perspective the play puts forward, but also that Theater Pub can act as a forum for a variety of subject matters, not just things that happen to be contemporary or comedic in quality. What’s coming up in the SF Theater scene that you’re particularly excited about? I’m excited for the Pint-Sized Play Festival — I don’t even know when it is, I just know I had a great time watching the last one, and I’m ready for a repeat! What’s your favorite beer to drink in mass quantities? I can drink Racer 5 for days. DAYS!!! Don’t miss Nick, and AIDS in the 80’s: Hit Trip Fall Dream Stick Sleep, this Tuesday, June 12 at 8 PM at the Cafe Royale (800 Post Street, San Francisco). Admission is, as usual, free, with an encouraged donation at the door.